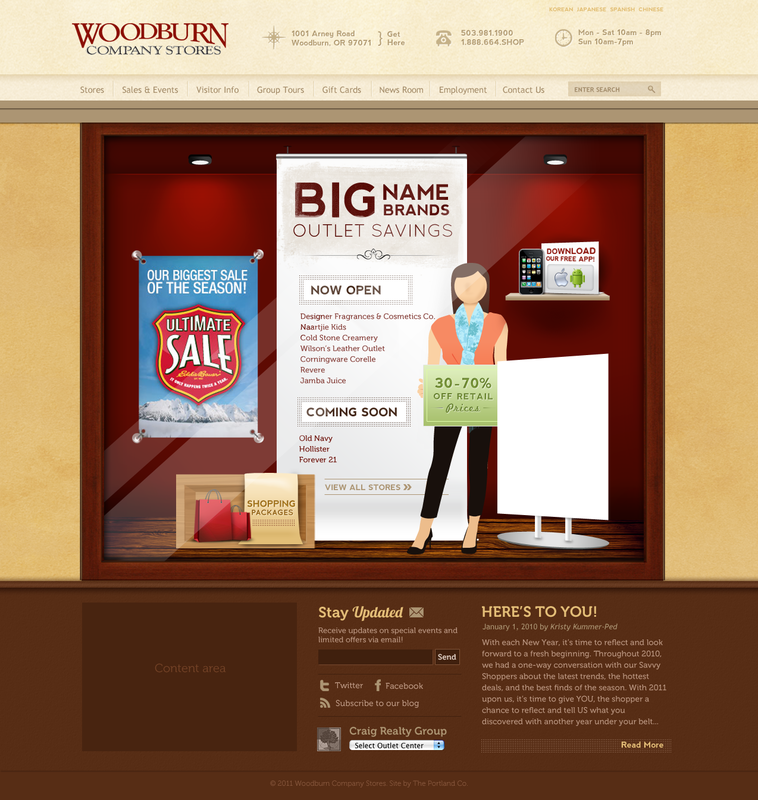 The Woodburn Mall, located in a Woodburn, Oregon relied on The Portland Company for their digital marketing strategy and implementation. We performed website design and development and influenced or defined their strategies both on the internet and in their physical outlet. Additionally, we performed extensive application development for them to connect QR Codes to their advertising, maps for their store visitors and product and retail store feeds.